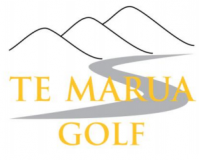 Teams Twilight Sponsored by Pak N Save Upper Hutt starts on Thursday 31st January 5.45 Shotgun start – $100 per team of 4 (vouchers NOT permitted for registration) Have you registered your team???? Winners of the $50.00 raffle are Dennis Cook, Ross Braybrook, Ron Roberts, Clive Dunstan, Eru Kaiawaha, Chris Hislop, and Alison Cooke. Please mend your divots, and do not use fairway for your practise area. On Tuesday 5th February the top nine will be closed from 6.30pm to 8.30pm – we have a large group that will be using it for speed golf. The Club have a variability of jobs coming up this year and we need your expertise in implementation of these tasks. Can you please register your interest to Ian Sherwin 027421259 or email iansherwin. We appreciate all the hard work you have previously put into the club – you have all been AWESOME!!! From Sunday 3rd of February the club have implemented a 2 tee start for Club Day only until further notice, anyone in recurring bookings will notice one week they will be teeing off #1, then the following week teeing off #10. This of course is to help with the busy Sunday’s plus members wanting to play earlier – Match Committee have also requested from staff ONLY CLUB AND AFFILIATED members are to play on club day up to 2.30pm. 1st Prize – Willie Williams. Ross Braybrook, Murray Oliver, Sonia Walsh, Pat Melaugh and Tom Penrose. I would like to thank everyone for supporting the raffles that the shop/office sell, your support is very much appreciated. Interclub starts on Saturday 26th January. GOOD LUCK TO ALL OUR TEAMS THIS YEAR!!!! Everyone have a wonderful weekend, and if travelling be safe.